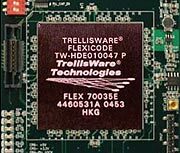 San Diego may be home to a number of telecomm giants, but an emerging leader among them is TrellisWare Technologies, Inc., a small, privately-held company that’s doing big things. With a collection of highly advanced signal processing, coding and situational awareness technologies, TrellisWare’s cutting-edge solutions enable wireless communication in even the harshest environments. To the consumer, dropping a call is an inconvenience. But to a soldier or first responder, not being able to communicate is a life threatening situation. TrellisWare’s CheetahNet is a mobile ad-hoc networking (MANET) system capable of blanketing territories left uncovered by traditional communication methods. Each radio acts as a data and voice relay for its neighbors. The more CheetahNet radios that are deployed, the better everyone’s coverage becomes. TrellisWare’s signal processing technologies have also been integrated into the Solider Radio Waveform (SRW) and the new Universal Air to Ground (UAG) waveforms for the U.S. Joint Tactical Radio System (JTRS) Program. 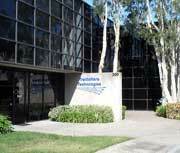 TrellisWare, created in 2000 as a self-funded spin-off of ViaSat, Inc., initially focused on highly advanced signal processing techniques designed to overcome the dramatic performance drops that most communications systems experience in harsher RF environments. The company name, “TrellisWare”, comes from a graphical representation of these techniques. During these early years the company employed approximately a dozen in a fairly flat organization. The projects were small in scope and typically staffed by two or three software engineers. Exceptional engineering was sufficient to produce success. As the company gained momentum, so did the range of product offerings. Next came advanced turbo-like forward error correction (FEC) codes and complex hardware products like CheetahNet. This expansion required new employees with a broader range of skill sets. The projects became larger, more complex, and multi-disciplined. Project teams of eight to fifteen employees were the new norm. Innovation had to expand from just IP core work to also include electronics hardware and product packaging. Suddenly better performance wasn’t enough. Program management and organizational leadership took on an importance that didn’t exist in TrellisWare’s early years. Today, TrellisWare employs fifty people and is adding more employees every quarter as it continues its transformation from startup to mature small business. TrellisWare was new to LAMP in 2010, but is looking forward to LAMP and EPSE providing its team with the management and leadership skills to support its continued growth. TrellisWare wants to demonstrate that large-scale MANET networking provides vastly superior performance to Wi-Fi-based mesh solutions without relying on towers or access point infrastructure. Having recently completed successful field trials of a 200 user MANET network, TrellisWare is well on its way to living up to the founding principle for the company: “Communications that work when nothing else does”. I’d like to add that TrellisWare is actively hiring in many positions. Please visit our website.